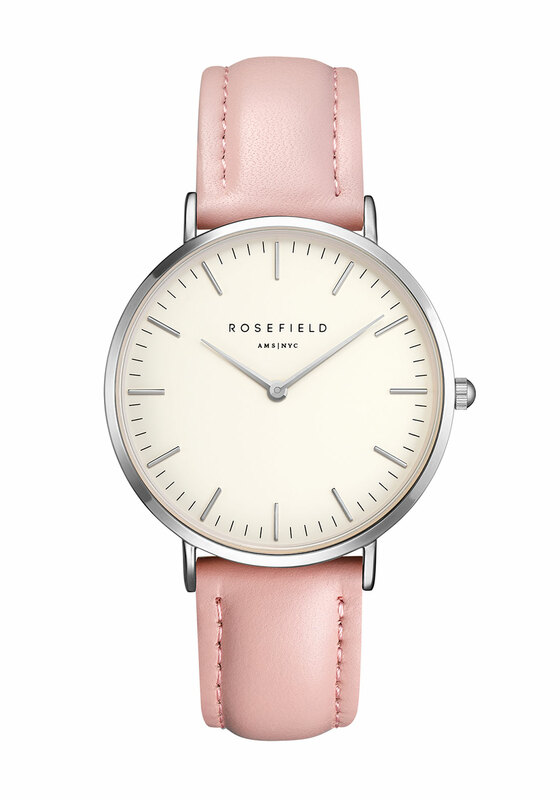 Keep it simple yet feminine with this delightful subtle pink strap watch from the Bowery collection at Rosefield. 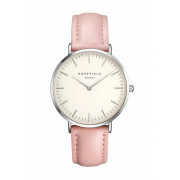 The Bowery watch features an eggshell white dial, ultra slim silver case and an interchangeable pink strap for a fashion forward look all year round. Strap: Genuine leather/ All our leather straps are interchangeable.